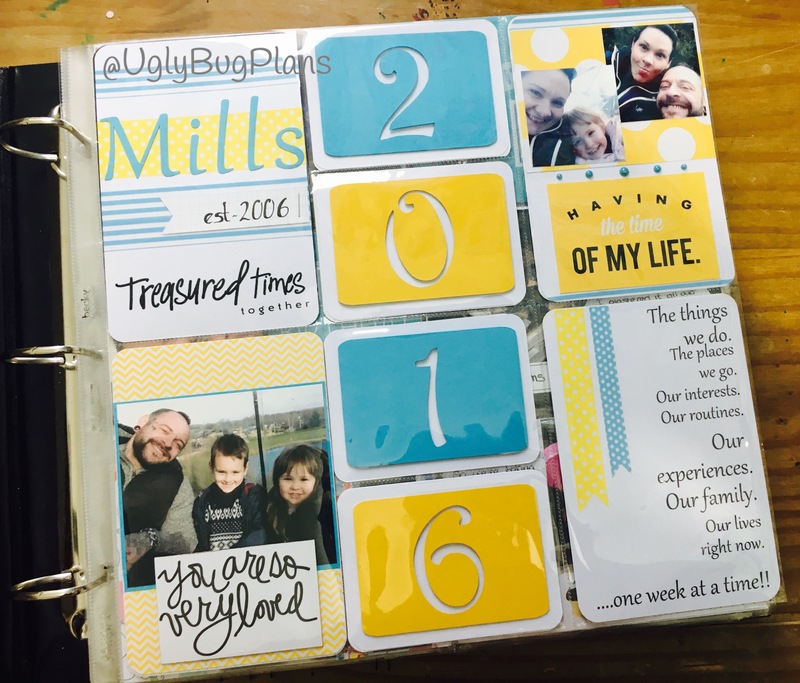 I haven’t shared a Project Life post for a while now, I must admit I fell right off the wagon with it in the middle of last year and really struggled to get back into it. I put so much pressure on myself that I ended up feeling overwhelmed with catching up. 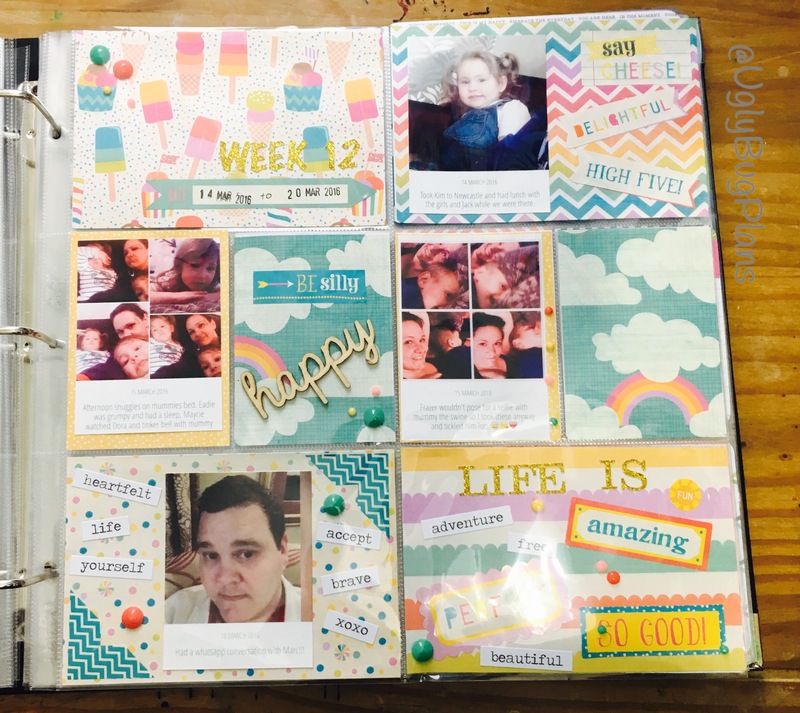 For anyone who doesn’t know what Project Life is, it’s a kind of scrapbooking system using page protectors and journalling cards, Project Life is a brand owned by Becky Higgins but there is also Simple Storoes sn@p, pocket pages and probably more that escape my mind right now. 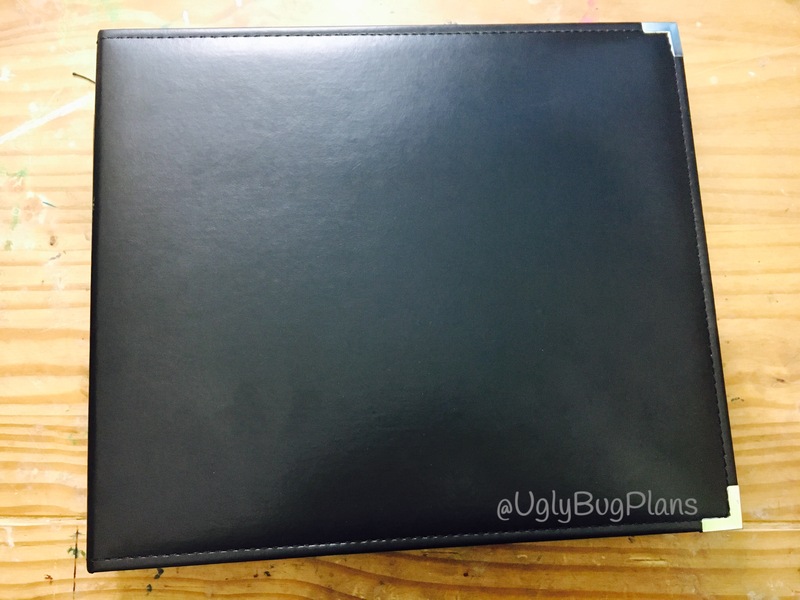 The albums and page protectors come in different sizes and I use 12×12. 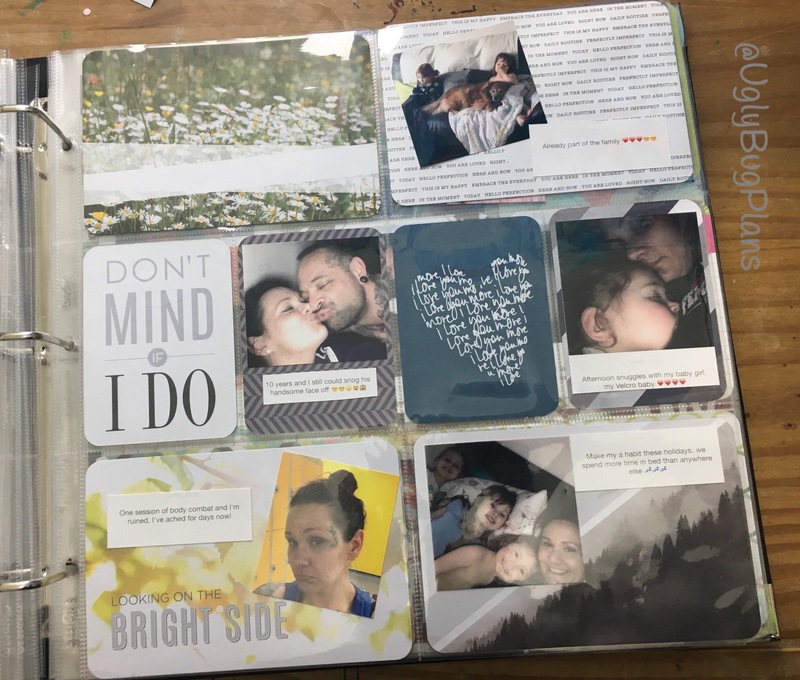 Within the album I use a few different styles, some pages are jam packed with pictures and a small amount of journalling, other pages are made up of more journalling cards than anything else. 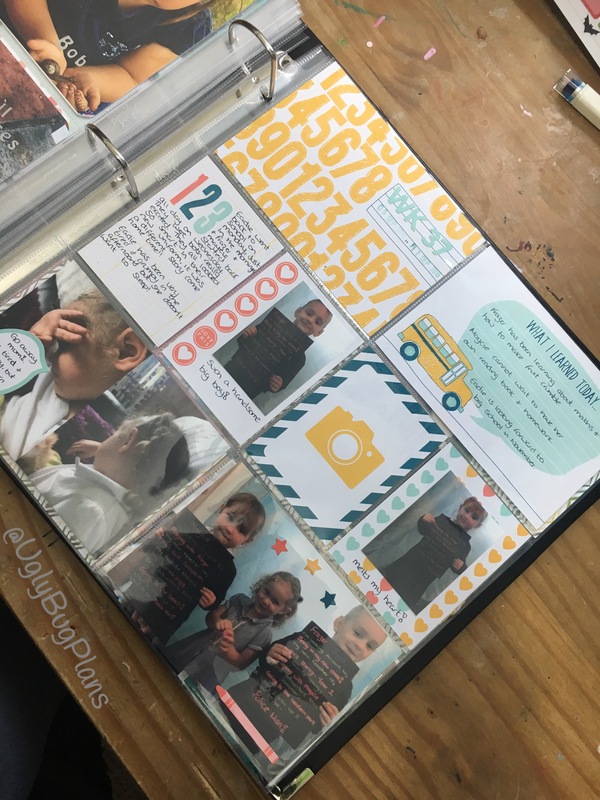 Each page is called a “layout” and some layouts I use kits so that everything coordinates, the picture above is a back to school layout which I made with a Stampin Up kit. 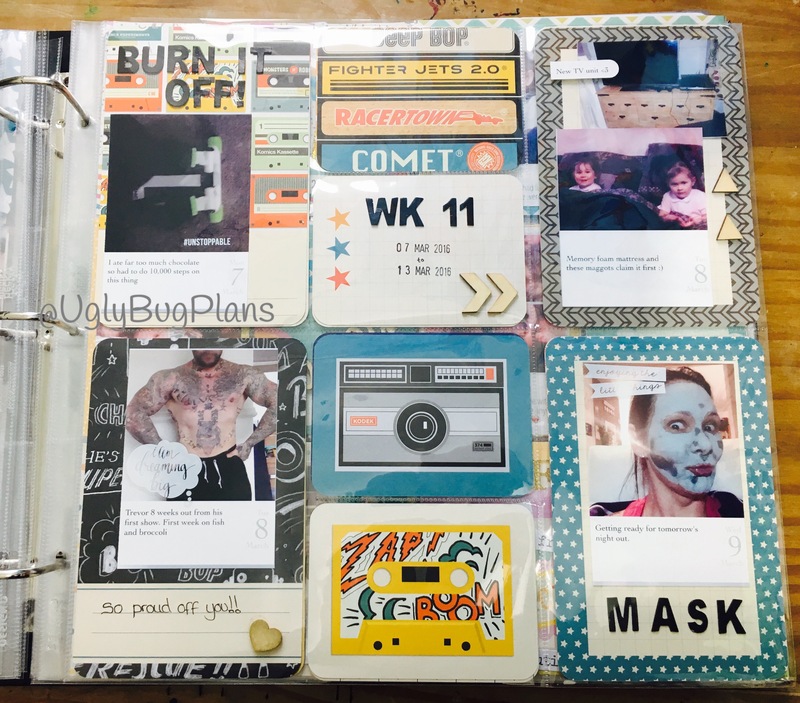 For picture heavy layouts (like above) I tend to let the journalling cards and the pictures tell the story. When I’m feeling creative I love to embellish my pages, like above (yes I realise I’ve put off instead of “of” on the bottom left picture). I use a journalling app called Collect to write a bit about what was going on in the photo. 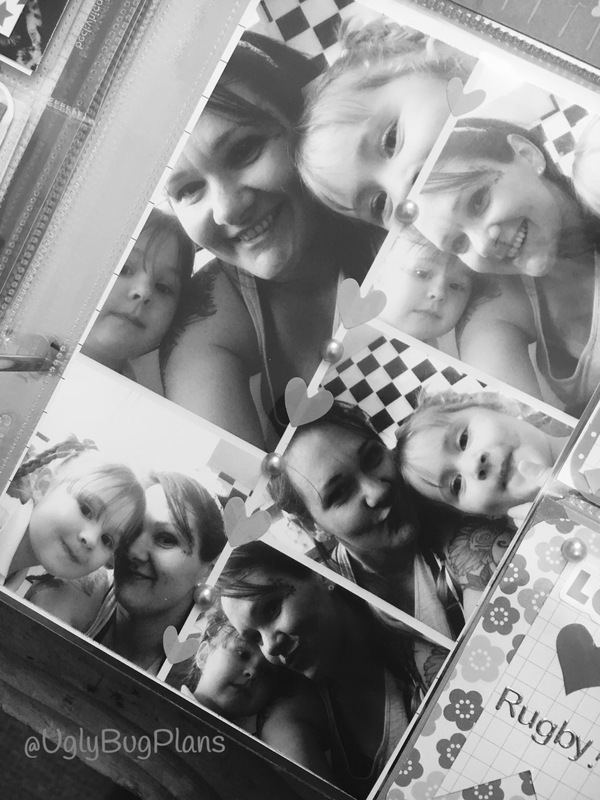 If I have a few pictures all telling the same story then I use the Pic Collage app to create a 4″x6″ picture collage and print it on my canon selphy (as above). 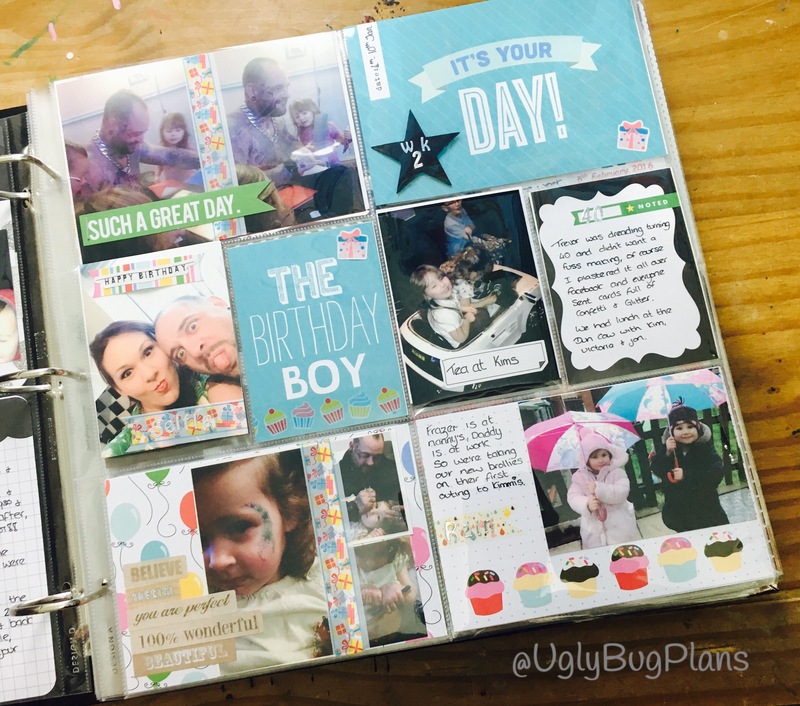 I love creating mini layouts on each card with eachbtelling their own little story, it can be done on actual project life cards (above) and with scrapbook paper which has been cut to size (below). 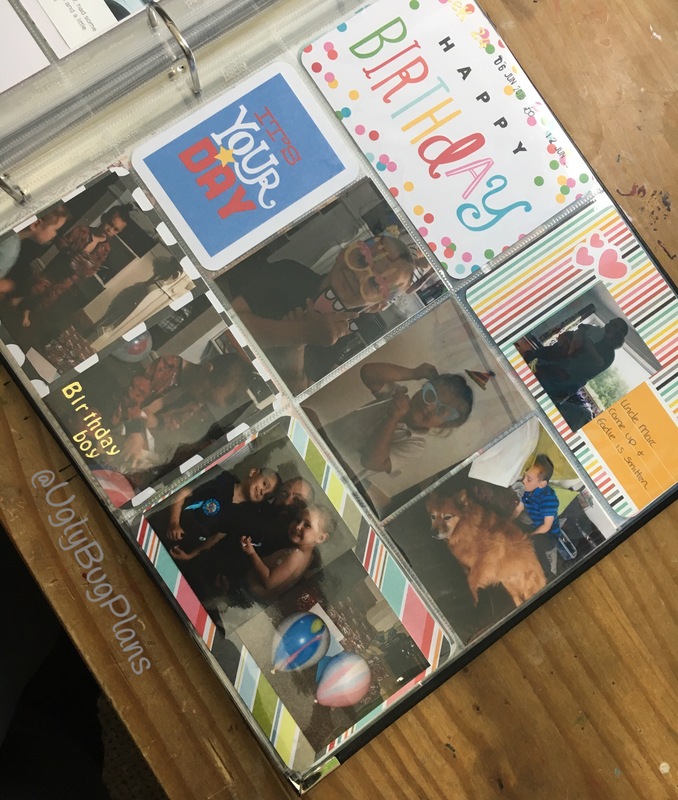 This year I am going to be more laid back, I’m not going to document each week, instead I am going to use a smaller album and go month by month, just documenting events or pictures as they come up.. I’ve ordered my first batch of pictures and I can’t wait to start! There is a full flip through on my 2016 album over on my YouTube channel HERE!